After graduating with my masters in teaching English, I taught creative writing at a community college. The term "creative writing" was always curious to me. Shouldn't all writing creative? I remember my first class. After I assigned their first paper, one of my students raised her hand and asked, "Do you want this in the form of a 5-paragraph essay?" "Um, noooo. I don't want to read 5-paragraph essays. Do you want to write them?" For some of my students, they had only ever learned to write the way that one must write in order to pass a standardized test. As we progress in school, the encouragement from grown-ups to be creative becomes less and less prevalent. Dare I say, it starts to be frowned upon? When I finally got my students to open up, and asked them to tell me what it really was they were trying to say, and then got them to write that instead, I could see a shift in their excitement to write. This was true creation. Being proud of the words that overflowed onto their papers because of their originality and meaning. We all have that excitement in us to create. For some of us, it might be right on the surface. For others, you may have to dig deep to find it. But it's there. Whether it's writing, or learning to play an instrument, or studying an art form; whatever it is for you, Jen and I want to help you DO THAT. Because we need people in this world creatively expressing themselves. And you need it for yourself. You need creativity in your life because it will be FOR YOU. It will be that breath in your day that lets your mind escape. So we have put together a 4-week journey for us to take together, to allow us the permission to put this creativity project on the front burner. It is now a priority. Because we've been thinking about it for far too long. Enrollment in this workshop will grant you access to our private, judgement-free, safe space. 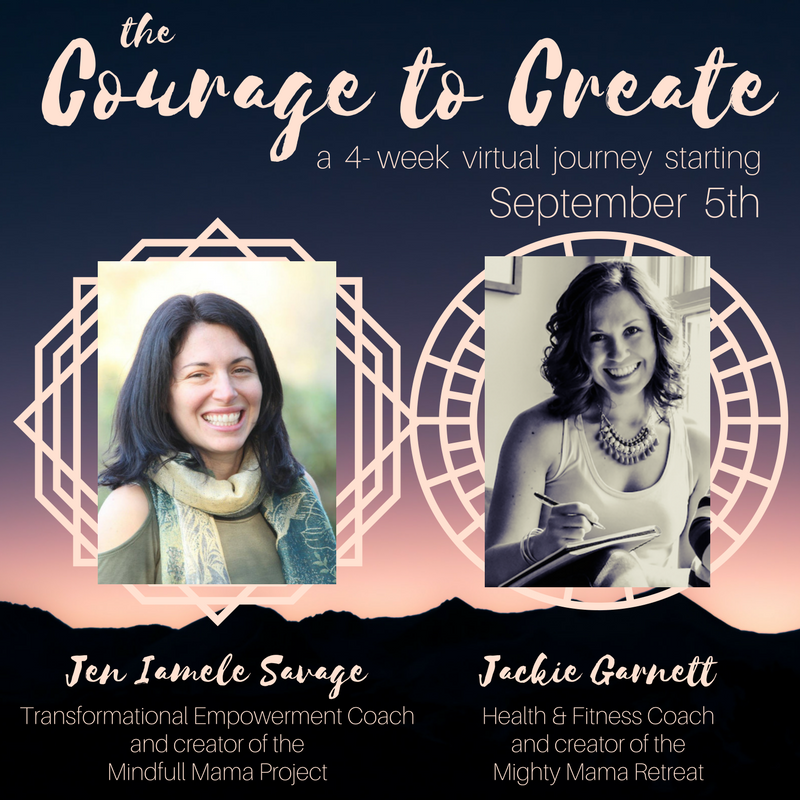 Jen & I will coach you through finding your courage, then we will give you action steps toward creating that one thing you have a true desire to dive into. 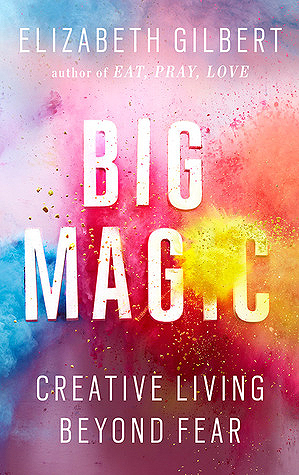 And we will use Elizabeth Gilbert's book, Big Magic: Creative Living Beyond Fear, as our "required reading" through the workshop. It will be the perfect companion through our journey. We will cultivate our community daily through our virtual space (on Facebook) + through voice memos (on Voxer). Plus we will meet face-to-face weekly (on Zoom). Don't worry about the technical details-- I will hook you up. We are looking forward to giving a lot of individual attention to our courageous creativity-seekers, so space is limited for this intimate group. Reserve your spot now with a $60 investment. We cannot wait to hear what it is that you will be finding the courage to create. And we are honored that you will allow us to take that journey with you.